Established over 20 years ago, the Edinburgh Community Health Forum (formally Lothian Community Health Initiatives’ Forum (LCHIF) is a membership organisation and registered SCIO (SC023808). 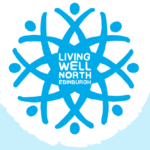 Its primary aim is to be a voice and network for organisations who work to reduce health inequalities and improve long-term health outcomes in Edinburgh. Our members share a common ideal that it is people in their own communities who are best placed to collectively improve their own health and well being and live better lives. We support members by providing opportunities to meet, exchange best practice and information and to learn together. We engage with and respond to local and national policies, strategies and consultations. We also work in partnership at strategic levels to reduce health inequalities. We believe that the needs of local people in communities are ultimately what ought to drive agendas at all levels. 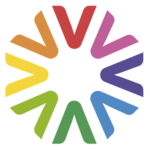 The forum and its members looks to respond to demographic changes within Edinburgh communities and build the capacity of the voluntary health sector. 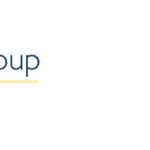 We seek to facilitate community participation, collective action, and collaborative working between key stakeholders including the Third sector, NHS Lothian and Edinburgh City Council. Our membership spreads across the whole city and between us have various resources and skills we can share. Click on each member to find out more. Providing access to affordable food at our volunteer–run fruit and veg shop, open weekday mornings – and enabling local volunteering opportunities. Running free cooking and exercise sessions including buggygym, aerobics, chair exercise, a walking group, weaning sessions and health drop-ins. A charity providing information, support, learning opportunities and breaks from caring to unpaid carers. We are a national social care charity working across most of Scotland providing person-centred support to vulnerable people. We also have a community development aspect to our work and our Link Working projects in Edinburgh are part of the LCHIF. Supporting families in Leith to thrive, feel safe, healthy and supported. 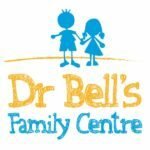 We strive to be a one stop shop where familes can get what they need under one roof and to ensure that the services provided locally are the ones that are needed. The Trust usually works for, or in partnership with, other organisations. It delivers or manages an extensive rolling programme of practical projects and events ranging from park regeneration and woodland planting to community learning workshops and innovative programmes to deliver health and well-being benefits. We fight discrimination, promote human rights, foster good relations in our communities and promote cooperation and partnership to ensure that everyone is treated equally, with dignity and respect. We are a charity and social enterprise and provide a range of services and activities promoting healthy eating and tackle health inequalities across the city particularly with people in low income communities. The development work includes support work to enable other organisations to engage in food and health work, cooking and nutrition courses, accredited training, healthy lifestyle projects and increasing opportunities to access affordable healthy food. The social enterprise sells and delivers fruit and vegetables to businesses and individuals and also operates fruit and vegetable stalls at Edinburgh hospitals. 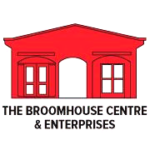 re a charity and social enterprise and provide a range of services and activities promoting healthy eating and tackle health inequalities across the city particularly with people in low income communities. The development work includes support work to enable other organisations to engage in food and health work, cooking and nutrition courses, accredited training, healthy lifestyle projects and increasing opportunities to access affordable healthy food. The social enterprise sells and delivers fruit and vegetables to businesses and individuals and also operates fruit and vegetable stalls at Edinburgh hospitals. A charity that aims to improve health and wellbeing of our local community and contribute to the reduction of health inequalities in Edinburgh. 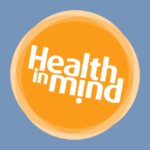 Health in Mind is a charity promoting mental health and wellbeing in and around Edinburgh, the Lothians and Scottish Borders. We do this through delivering a wide range of services and working in partnership with others. LGBT Health promotes the health, wellbeing and equality of lesbian, gay, bisexual and transgender (LGBT) people in Scotland. We are a unique community development organisation focused on reducing the health inequalities experienced by this community of interest. We provide a range of support services, as well as working to raise awareness of the experiences and needs of LGBT people. LUWSC provides a safe caring environment for women who suffer from mental health problems and social isolation. We seek to enable our members to achieve their full potential through providing support, education, confidence building, health education and health promotion. Through participating at LUWSC women are able to take more control of their lives and find a voice individually and collectively. 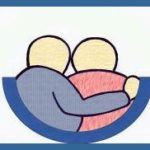 A mental health organisation, offering support and help to grow. The primary aim of NKS is to alleviate deprivation and isolation experienced by South Asian women and their families living in Edinburgh and to promote positive health and well-being among them. Our role is to make South Asian women active citizens living in Scottish society by engaging them in various activities at NKS and by supporting them to access mainly mainstream services of interest to them in Edinburgh. We believe that South Asian communities are disadvantaged and marginalised that leads to social exclusion. NKS aims to provide a range of services that would help to work towards social inclusion of South Asian women and children. Supporting local residents in the Lorne area of Leith for 25 years. 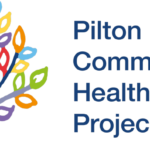 Community Health Project based in North West Edinburgh; seeking to tackle issues relating to Health Inequalities using a community development approach. Various activities. 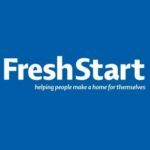 We deliver a holistic health, fitness and well-being programme for people affected or experiencing homelessness, welcoming anyone who is living in homeless hostels, temporary accommodation, bed and breakfast or vulnerably housed. We aim to reduce social isolation, improve mental health as well as address long-term physical health needs. Our programme offers a variety of workshops that are around peer support, group work, diet nutrition, confidence building and raising self esteem. The Health Agency is a community led organisation. We address local health inequalites by working to improve the life circumstances that cause poor health in the Community. A Young Persons Health and Wellbeing Service, providing a range of support for 12-21 year olds. We have a holistic model and work with what young people bring to us. This includes support around sexual health, emotional wellbeing, mental and physical health. 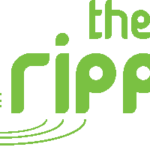 Community led organisation, improving the quality of life for all ages by helping people to help themselves. We support migrants and refugees in Edinburgh, offering a wide range of classes and activities to help people achieve their potential. We also provide volunteering opportunities for local people who are keen to welcome and support newcomers. 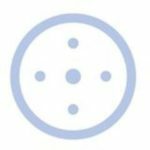 Thistle Foundation is a health and wellbeing charity that supports people living with long-term conditions across Scotland to live the life they want. Information on and support with volunteering and volunteering opportunities in Edinburgh. 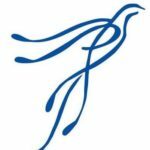 The forum has two part time staff, a voluntary chairperson and trustees from our organisations. Feel free to get in touch if you would like to find out more. Stephanie-Anne has been the manager of the forum since 1st April 2017. This is her first post in the voluntary sector having previously worked in local government for almost 30 years with posts in the former Clydesdale District Council, Dunfermline District Council, Fife Council and the City of Edinburgh Council. Her career in local government was mainly in sport, leisure and culture, with highlights including responsibility for the £37m refurbishment of the Royal Commonwealth Pool, the awarding of the freedom of the City of Edinburgh to Sir Chris Hoy, the winning of the bid for the National Performance Centre for Sport (Oriam) at Heriot Watt university, and the staging of many sporting and other events including the World Duathlon Championships, the Olympic Torch event at Edinburgh Castle, and the Hogmanay Street party. Stephanie-Anne was a member of the Scottish Government’s Physical Activity Task Force which developed and wrote Scotland’s first Physical Activity Strategy. Stephanie-Anne still remains passionate about getting people active enough for their health and the positive impact being active can have on one’s mental and physical health. 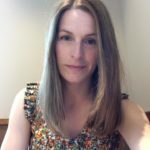 Stephanie-Anne believes that everyone must take responsibility for their own health which can be supported through the work of local community led organisations with whom she now works to support and develop. Grace has a degree in Nutrition from QMU and has worked in two previous Forums in her career to date. 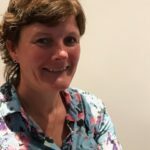 She is passionate about public health, in reducing health inequalities and takes a strong view on sharing resources and a collaborative approach. 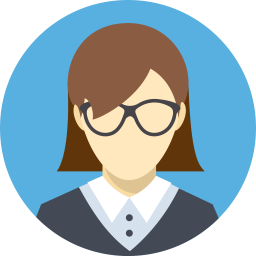 She has been pivotal in the recent rebrand of the Forum and setting up a new way to evaluate the work that we do. Her priorities into 2019 are to continue to promoting the great work of the network and to work on raising the profile of the Forum as a case study for best practice in Scotland (and further afield). Day to day she manages projects, meetings, finances, training and admin for the Forum. She is mum to her little girl and competes in Triathlon in her free time. 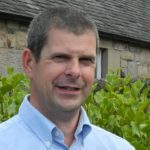 Iain Stewart has worked within community education and community development for local authorities in Scotland and England, whilst also running his own consultancy business delivering numerous research and evaluation projects in both the public and voluntary sectors. 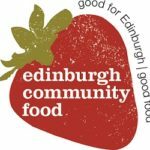 Since November 2008, he has been the Chief Executive of Edinburgh Community Food which delivers food and health development programmes across Edinburgh to tackle health inequalities. ECF also has a substantial social enterprise. 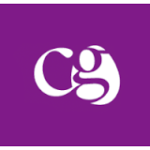 Key aspects of this role has been to manage and develop the charitable aims of the organisation, secure funding from a range of funding sources, achieve targets agreed with funders, develop and implement the strategic plan and to establish and grow the social enterprise to contribute to the future sustainability of the charity. 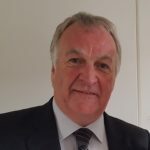 Iain became a member of the Forum in 2009 as an opportunity to meet other managers, network and share practice and challenges and has been our Chairperson for the past few years. We currently have a space on the board for a treasurer. Please contact Iain Stewart (Chair of the ECHF) in the first instance if you are interested. We currently have space on the board for a treasurer. 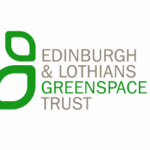 Charlie became the Chief Executive of the Edinburgh & Lothians Greenspace Trust in August 2014, following 11 years as the Trust’s Projects Manager. 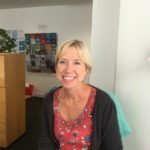 Charlie leads a committed and dynamic team at a strategic level to help the Trust focus on its core principles of delivering environmental and landscape improvements and of promoting outdoor activities for good mental and physical health that address both social and health inequalities. ELGT lead initiatives such as the delivery of green active travel routes, community gardening and finding new ways to engage with local communities to get the most out of their local woodlands and greenspaces. ELGT is a key delivery body for the implementation of the Central Scotland Green Network in the East of Scotland. The CSGN is a national development aiming to transform Central Scotland into a place where the environment adds value to the economy and where people’s lives are enriched by its quality. As part of the Forum, Charlie values the space to share his organisation’s experience in engaging local communities and for the collaborative working opportunites and funding it provides. 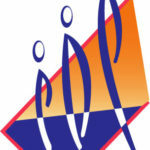 I have been a member of the Forum since 2002 when I became Manager of Health All Round (HAR.) 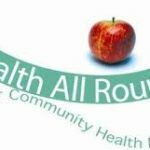 HAR is a Community Health Initiative based in Gorgie Dalry and we provide a range of services to improve the health and wellbeing of people living in our local area. HAR is the third charity that I have managed and the first one that isn’t specifically for people with severe and enduring mental health issues. I had a lot to learn when I started the job and the Forum was a great help to me. 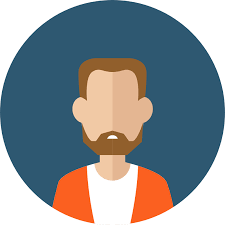 The other managers I met there helped me understand the statutory funding streams for health inequalities, which can be quite confusing, and it is via the Forum that we are able to develop relationships, communicate and work alongside statutory funders. The Forum is also great for peer support which is helpful for me and the HAR Management Committee (if I am supported, they are supported!) I couldn’t do without the Forum, it’s the first option for me if I have any problems relating to the management or funding of HAR. On a personal note – I’ve made some great friends there too! 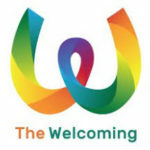 Set up in 2003, as an Edinburgh-based Healthy Living Centre, LGBT Health and Wellbeing is now a well-established community development organisation, and the key organisation promoting the health, wellbeing and equality of lesbian, gay, bisexual and transgender (LGBT) adults in Scotland. Maruska has been LGBT Health’s CEO since 2008 and on the Forum Exec since 2011. 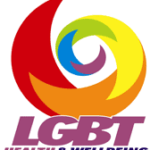 Set up in 2003, as an Edinburgh-based Healthy Living Centre, LGBT Health and Wellbeing is now a well-established community development organisation, and the key organisation promoting the health, wellbeing and equality of lesbian, gay, bisexual and transgender (LGBT) adults in Scotland. Maruska has been LGBT Health’s CEO since 2008 and on the Forum Exec since 2011. Passionate about promoting mental wellbeing and addressing inequalities, prior to her role with LGBT Health, Maruska worked with a number of health and wellbeing focused voluntary sector organisations, including Alzheimer Scotland and the ‘see me’ mental health anti-stigma campaign. 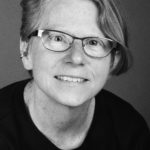 As a community activist she has over the years been involved in a range of LGBT and women’s groups and organisations. In late 2018 we updated our constitution to allow for additional trustees to join our board. We currently have up to four spaces. Please contact Iain Stewart (Chair of the ECHF) in the first instance if you are interested.